This secluded, hilly expanse of oak woodlands, grasslands, and chaparral is a combination of over 70,000 acres of BLM managed lands and 4,700 acres of State and County lands. 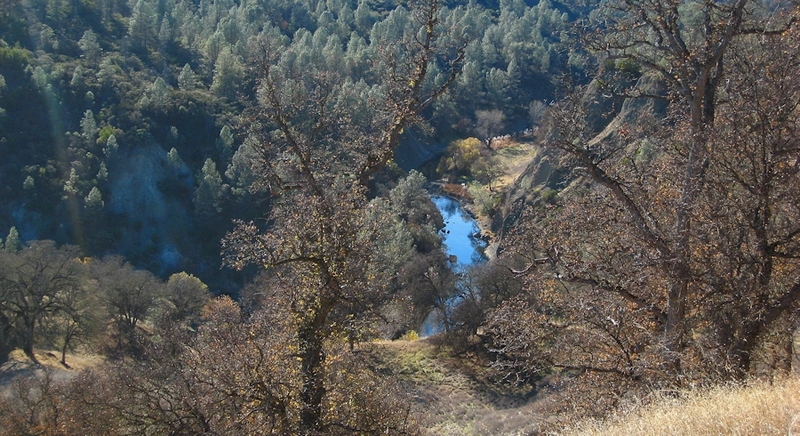 The Natural Area is traversed by Cache Creek, with its year-round water flow. Elevation ranges from 3200 feet atop Brushy Sky High, down to 600 feet in the eastern end of Cache Creek along State Route 16. Showcasing the area is about 35 miles of the main fork of Cache Creek and 2.5 miles of the north fork. Also present are several tributary creeks that contain permanent water. The Cache Creek Natural Area is closed to motorized vehicles. There are no developed campgrounds or facilities. Non-hunting (target) shooting is not allowed. Instead, the area is managed to improve habitat for wildlife and rare plants, to protect cultural resource values, and to offer primitive recreation opportunities, including wildlife viewing, river running, hiking, equestrian use, hunting and fishing. Bicycles are not permitted within the designated Cache Creek Wilderness Area (about 27,245 acres extending up to the Colusa and Yolo County borders). Winter hikers heading out to the Redbud Trail in hopes of spying nesting bald eagles. There are many trail opportunities in the Cache Creek Wilderness. 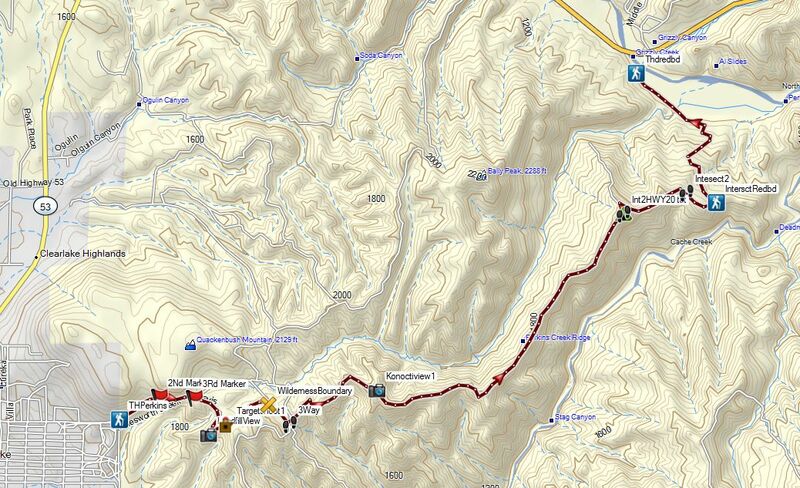 The three main trails are the Redbud Trail, the Judge Davis Trail, and the Perkins Creek Ridge Trail. The Perkins Creek Ridge Trail could be done as a 7-mile thru hike, starting at either the Redbud Trail or near the entrance of the Quackenbush Compost Facility in Clearlake. White water rafting and kayaking is also popular on Cache Creek. Visit the Tuleyome trail site for excellent hiking guides and maps.